Keeping chivalry alive is easy with this set of medieval-themed wooden blocks! Your young squire can create one large castle, two smaller castles, or a long defensive line. 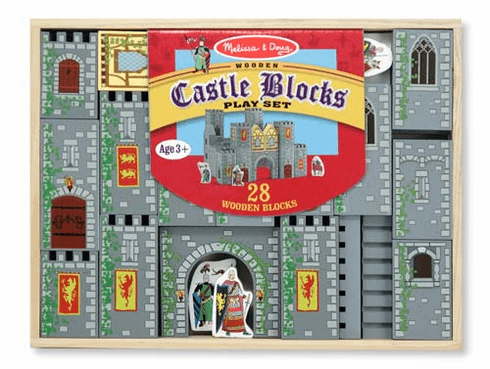 The 28 pieces offer all kinds of pretend play, day and knight!